Just add the modifier to the choosen cross-section shape (an exagon for example). With the options provided you should be able to easily control many aspect of the shape such as the overall height, the number of steps and the number of turns. Then you could stack a Triangulate modifier for a better control upon the way non-planar faces are splitted. Add a Circle with 6 vertices and extrude it (E). Subdivide it adding edge loops (Ctrl+E). Snap the cursor to the top edge loop (Shift+S-->Cursor to Selected). Enable the proportional editing, increase the editing ring with Mouse Scroll and rotate (R) the top edge loop as pictured below. 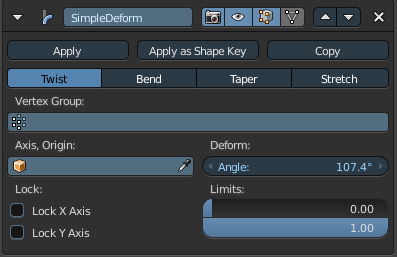 Add the Solidify Modifier and play with its Thickness value. 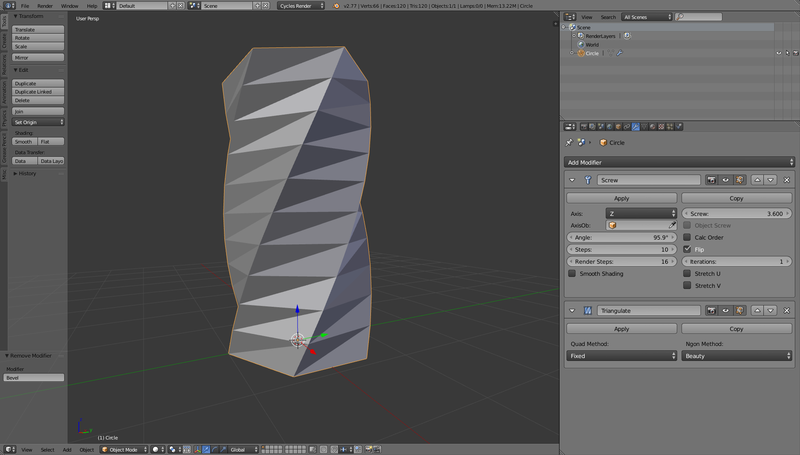 Next, add a simple deform modifier and set it to twist. Adjust the angle as desired. Add some loop cuts with Ctrl+R (I added 5), and delete the top face in edit mode. 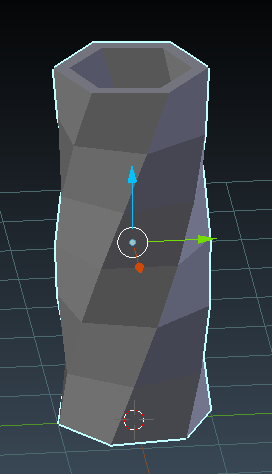 Add a solidify modifier as well if desired and adjust the thickness as needed. How to achieve dramatic composition with low poly models? Should you retopologize a “low poly” character? How to make a stylized low-poly tube tree? How to make low poly water?